Firefox browser is becoming more and more in. It's also the browser, we recommend for many reasons. One of Firefox's major advantages is the many free plugins for the browser. Plugins are small programs that make the browser more functional and personal. Eg. 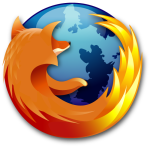 Here you can download the plugin that makes Firefox unable to find interesting websites for you or a plugin to get Firefox to work as Internet Explorer. The latter is especially handy for people who make use of online banking. Gmail Manager can be applied to several Gmail accounts, so all users of the PC can utilize this plug-in. Besides information about new emails in your email account Gmail Manager will provide you with information about unread mails, spam mails, used space and much more. Gmail Manager is an excellent plug-in for all Firefox users. This is extremely convenient for you who often use online banking. Here many will find that the web bank can not be opened in Firefox, but only in Explorer. With IE View, it only requires a right click, so you can use your online banking in Firefox. You can also set IE View to run Firefox, as it was always Explorer for specific websites. It could be your online banking eg. The advantage we're talking about is the possibility to view thumpnails of the open windows and tabs in your browser. This really gives you good control, while surfing with many tabs and windows open. You can find the function, after you've installed Firefox Showcase, in the menu "View".